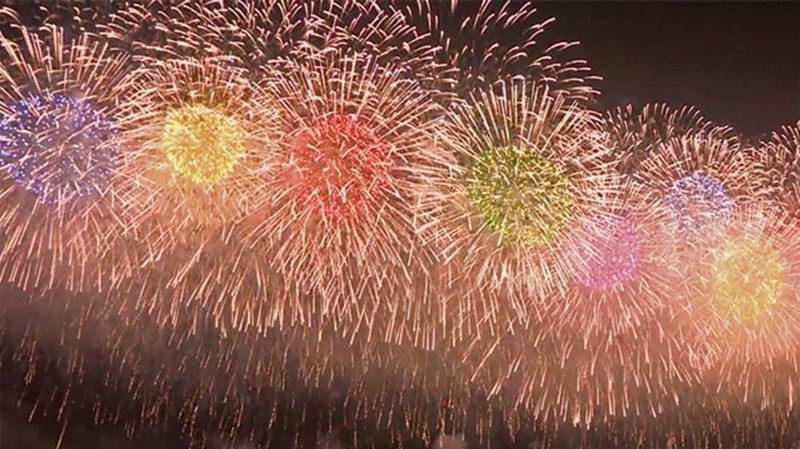 If you don't feel up to visiting a local fireworks show (or there isn't one near you), why not sit back and enjoy these beautifully-filmed fireworks displays online? They did a lovely job using the London skyline (and the Eye) in this display. If you don't like contemporary pop music, you might want to provide an alternate soundtrack. A half-hour of incredible pyrotechnics. Wow. Disney World! Disney explosions! Disney music! As part of Disney's Last Tour to Endor (the closing of Star Tours), this fireworks show was staged in Orlando, Florida featuring the John Williams score and miscellaneous dialogue from the films. Remember that last scene in Return of the Jedi? This is nothing like that. Warning: Contains tons of spoilers for the movies (on the bright side, it spoils the prequels too). Now this is how you do fireworks, people. That's the Ohio River and authentic American "woo" sounds! Megaupload founder Kim Dotcom put on this half-million-dollar fireworks show for the people of Auckland, New Zealand. This does make me wonder what a full million bucks would've bought. This display was created using FWsim, a fireworks simulator. Hooray, computers!